Monarch populations have declined by 90 percent in the past two decades due, in large part, to the loss of milkweed across the Midwest. 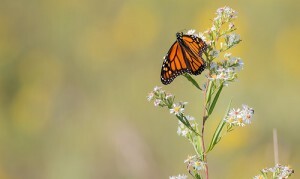 Once again, summer has brought the highly anticipated sightings of monarch butterflies across the country. An online tracker from Journey North shows the beloved orange and black butterflies fanning across the Northeast and Upper Midwest, where the eastern population is completing its northern migration. I spotted a monarch in Missouri just last week. 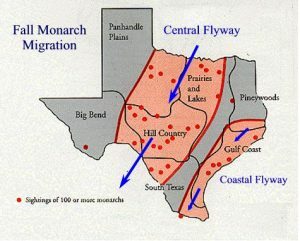 It’s a wonderful sight and an inspiring reminder of the monarch’s magical migration. But the opportunity to witness this natural miracle is dwindling. Over the last two decades, the monarch population has declined by 90 percent, bringing the butterfly dangerously close to extinction. 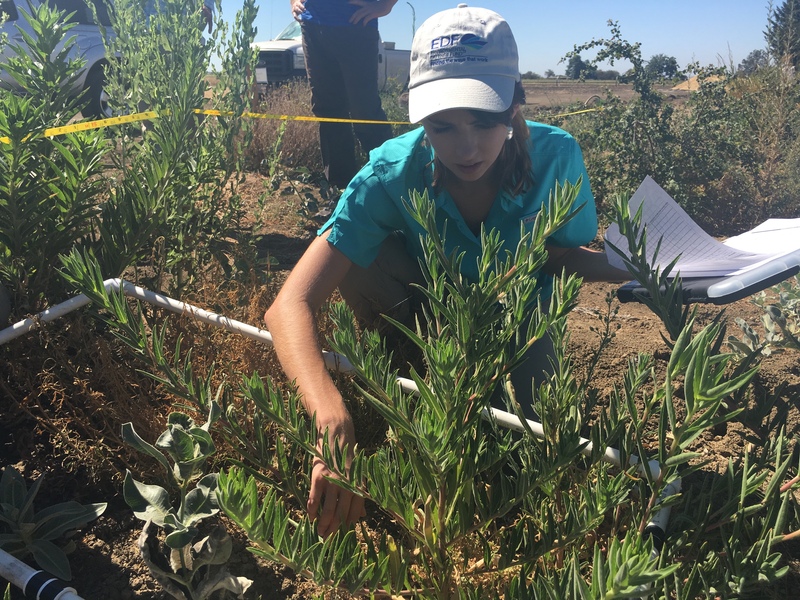 Audrey applies the Habitat Quantification Tool to a potential restoration site, counting the number of milkweed and wildflower stems within a transect. This spring, my colleagues and I visited three ranches in Texas to begin piloting the Monarch Butterfly Habitat Exchange, an emerging program that will help agricultural landowners contribute to monarch recovery. 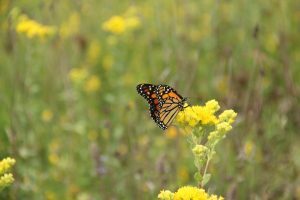 Elm Ridge Ranch, Wagley Ranch and Shield Ranch will be among the first restoration projects conducted this year to improve ranchlands and create valuable monarch habitat. We will continue to work closely with these landowners to hone the program and ensure it works for monarchs, pollinators and people alike. Already, we’ve had the opportunity to gain valuable insights, including how to improve habitat quantification and how to inspire enrollment. As monarch butterflies have returned to Texas on their fall migration south, so have my colleagues and I to Shield Ranch for another round of field testing for the Monarch Butterfly Habitat Exchange, a new conservation program we expect to launch in key states in 2017. 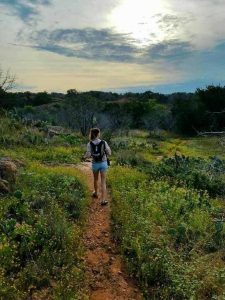 Texas offers a lot of potential habitat for monarchs, being a critical layover on the species’ annual migrations north and south, and having a number of landowners willing and eager to find a solution for the iconic butterfly’s decline. 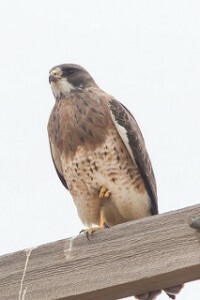 The Swainson’s hawk is one of the at-risk species that AB 2087 benefits. Prudent investors know to keep a few key things in mind. They anticipate the timing of spending priorities, like retirement, and evaluate investment risk accordingly. They might spread resources across funds to meet different objectives. And of course, they look to maximize their return on investment. Why shouldn’t these same principles apply to investments in our natural resources? 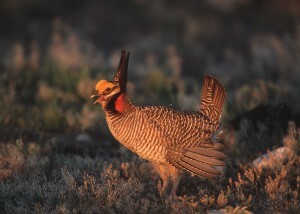 Thanks to a new bill signed into law by Governor Jerry Brown, these principles will now apply to regional conservation investment strategies for wildlife and other resource management activities in California. 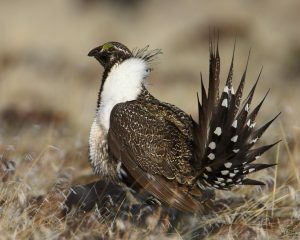 Assembly Bill (AB) 2087 (Levine), will establish voluntary, non-regulatory strategies to help conservationists, local agencies and the state apply core investment principles when planning conservation or mitigation projects.